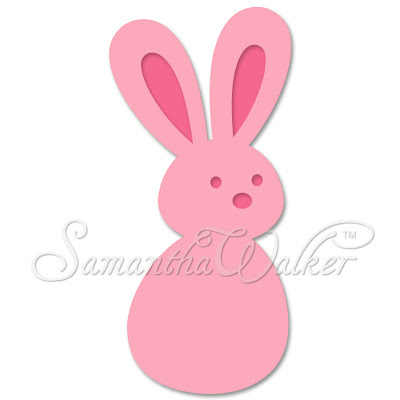 The Paper Boutique: Samantha Walker’s Creative Team Blog Hop! Samantha Walker’s Creative Team Blog Hop! This month one winner will receive the Butterfly Magic Spellbinders™ Expandable Patterns Die Set. To enter, leave a comment on Samantha's blog. The giveaway ends on Sunday, April 14 at 11:59 MDT. The winner will be announced on Samantha's Facebook page on Monday, April 15th. For additional entries: Comment on each of the other blogs in the blog hop, follow Samantha Walker's blog, follow Samantha on Facebook and sign up for an e-mail subscription to Samantha's blog. To receive the additional entries mention in your comment on Samantha's blog that you have done so! I got this idea for an earring tree from How About Orange and had to try making one using Samantha’s backyard tree house file. It worked perfectly! I slightly modified Samantha’s file by using the knife tool to make a straight bottom on the tree and then welding the tree and trunk together to form the tree. You can use the tree house portion for another cute project. I cut four trees out of heavy pink cardstock and then glued two of them together to make the tree stronger. You could also use Silhouette chipboard to make the tree even sturdier. You end up with two thick tree shapes. On one of the shapes cut a slit starting at the center of the top of the tree down four inches. Next cut a slit in the other tree starting from the center of the bottom up four inches. The slits should be just wide enough to make the other piece fit snuggly. Once the slits are cut slip the two pieces together to form the 3D earring tree. Be sure to adjust the width and length of the slits if the tree does not sit flat. You could also put a drop of glue at the top and bottom for added stability. I used a small round hole punch to make the holes for my earrings and was done! This would make a great gift! The background paper in the photo is from Samantha’s new Carta Bella collection, Cool Summer. This sheet is double sided with the cutest ice cream banners on the back. I can’t wait to show you more of her collection! This is such a fun project! You are so clever! Your earring tree is adorable, Linda! What a neat projects! You are super creative! Oh my goodness Linda! This is amazing! What a great idea! neat tree- looks like a fun project. This is an awesome idea! This would make a great gift for a teenager! Very creative project---I love it! I follow your blog and you do awesome work. You are soooo super creative! Love this. WOW! What a super creative idea! Love the earring tree! Great idea! Sometimes I don't see the forest for the trees - your simple welding of the tree and trunk make it a beautiful tree! Great idea thank you for the gift idea! This is such a clever idea. If I don't see my earrings I won't change them. Great project! Such a cute way to display the earrings! What a great display for craft shows! Very creative, and yes it would make a wonderful gift. Thank you for giving us a chance to win!